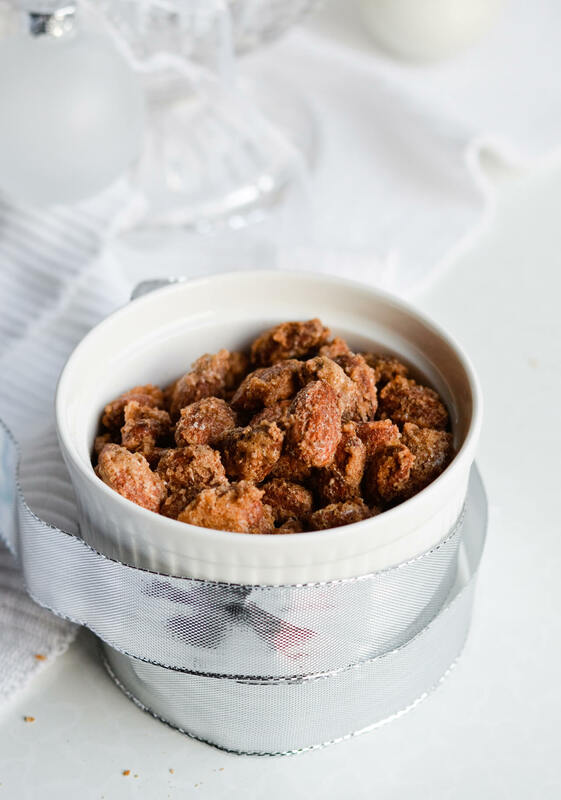 Cinnamon roasted almonds just might be the most addictive snack ever! I have a tip for you: Never reorganize your home during the holiday season. It’s awful and completely unnecessary. Also, I think we have too much stuff, or our flat isn’t big enough. It’s probably both. I am making this sound way worse than it really is, but once again I find myself moving things around as we put up our tree in the living room. I’ve realized now that it takes me about 2 years in a new place to get a crystal clear picture of what I want from a specific place, what I need and what works or not. The bad thing about renting is that we can only change so much, the storage space is definitely limited. On top of that, any furniture purchases we make have to somehow work in case we move again. So right now I’m just moving things around, to make the living room more functional. And to make the tree stand out even more! I could say that these cinnamon roasted almonds are giving me the much needed energy for all of this. Or at least that’s what I want to think. What matters most is that they’re good and are definitely one of my favorite things in December. You don’t know this, but I once worked at a stand in a shopping mall and I would snack on them all the time, because a chocolate shop close by had fresh, warm roasted almonds for sale all the time. And now I just make them at home. I think these would make a great hostess gift or even a stocking stuffer. If part of your holiday routine is giving out tins with cookies (and if it is, can I be your friend?) 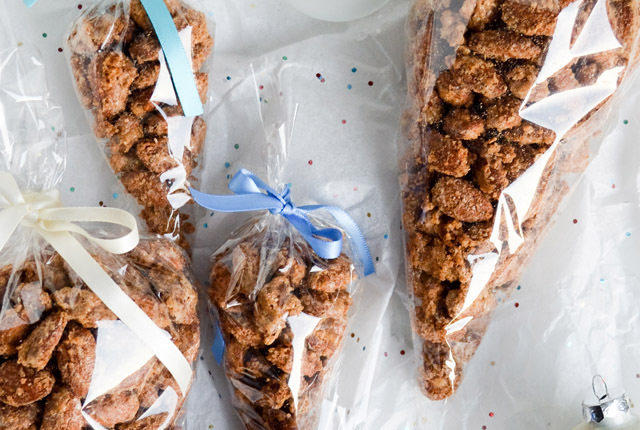 I think you can sneak some of these cinnamon roasted almonds in there too. A snack everyone will love. 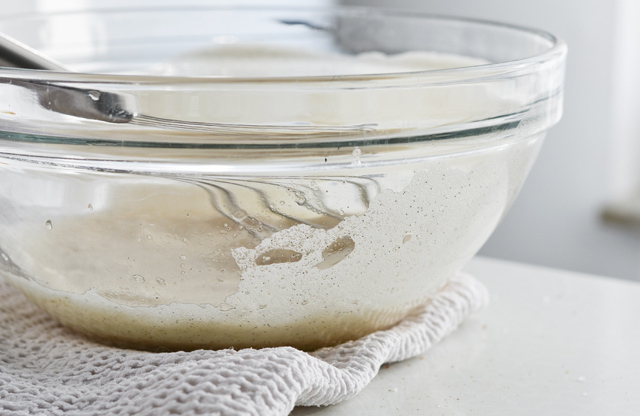 Preheat oven to 150°C (300°F), line a baking sheet with parchment paper and set aside. 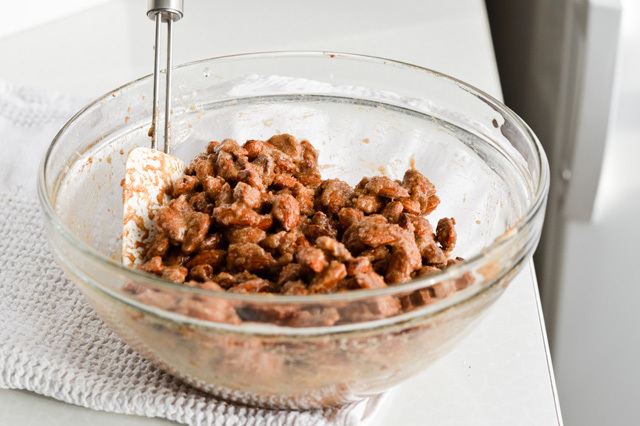 In a bowl mix the sugars, salt and cinnamon; make sure there are no lumps. In another bowl beat egg white with water and vanilla bean paste, just until frothy but not stiff. 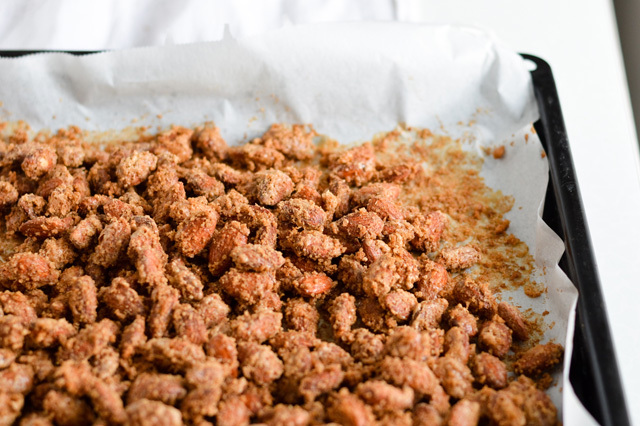 Add the almonds and stir until all are coated. Sprinkle with sugar mixture and toss until evenly coated. Spread on the baking sheet, in a single layer. 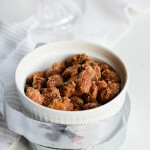 Bake almonds for 30 minutes, stirring occasionally (about 3 times). Remove from oven and let almonds cool. 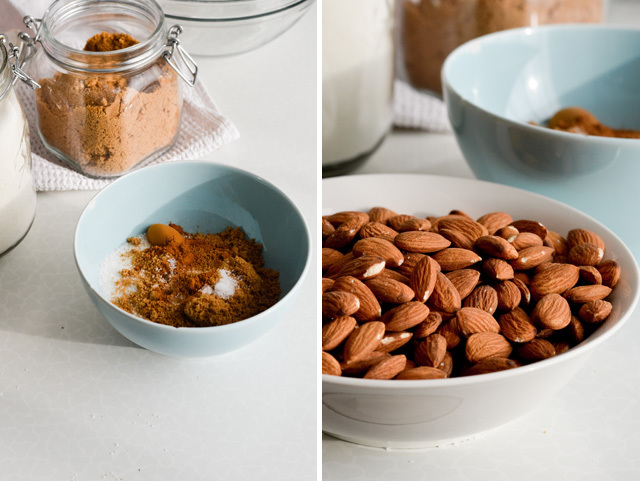 Then separate those that are sticking together and store almonds in an airtight container or glass jar. Or, if making gifts, store them in bags, tied with a ribbon. 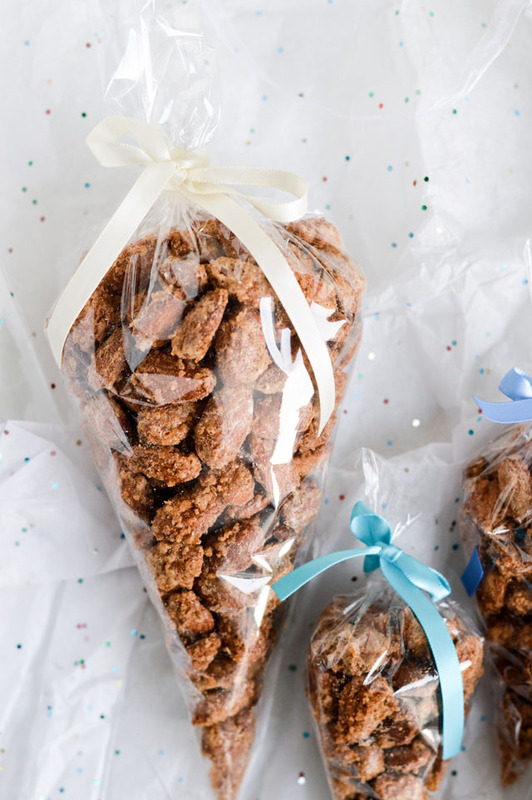 Inspired by Deb’s candied nuts.